Kuya Bok and Kuya Icko Gonzalez. SINESKWELA. Icko loves acting and hosting! He has attended basic, advanced acting, and musical theater workshops under Joy Reyes, Audie Gemora, Enchang Kaimo, Jaime del Mundo, Freddie Santos, and Musical Theatre International's Broadway Lab. In 1991, he joined an all boys singing group, 'Boys will be Boys', and eventually branched out to other forms of media entertainment including theater and television. He has appeared on shows like Villa Quintana (GMA7), Coney Reyes on Camera (ABS-CBN), Hiraya Manawari, Math-tinik, and Epol Apple (ABS-CBN). 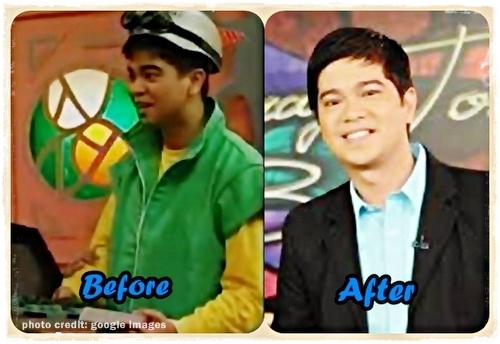 His memorable role was 'BOK', the science wiz in ABS-CBN's hit educational show SINESKWELA (ABS-CBN). He is a favorite live show host for events and is currently the official Nickelodeon Live Shows Host. He has appeared in several stage plays and musicals. His roles include MJ in Freddie Santos' Widows, Orphans, and Wildebeests staged at the Music Museum. Beast in Guam's production of Disney's Beauty and the Beasts, Cat in the Hat in Musical Theatre International's Seussical, Trumpets Pamilya Maleta. He is also a sought-after writer and director for trade events and live performances. He directed 'My Son Pinocchio', 'Seussical', 'The Lion, The Witch and the Wardrobe'. He was writer and assistant director for episodes of CBN Asia's annual Holy Week Special's Tanikala, and also essayed the lead role of our (with Lara) personal, relationship, and spiritual mentor Jonaver Luklukan in the episode WASAK. Kuya Icko has recently appeared in Tinig: The Dulce Story on GMA. He is also a host of The 700 Club Asia. You may get in touch with him through his facebook fanpage: https://www.facebook.com/IckoGonzalezOfficial. 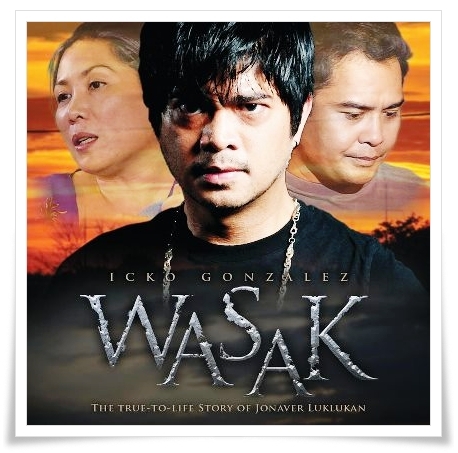 1) Kuya Marlon: Who is Icko Gonzales in his youth days? Kuya Icko: I was very active with our church’s performing arts/music ministry. I also became part of a boy band “BOYS WILL BE BOYS”, eventually joined Trumpets! 2) Kuya Marlon: How did you discover your gift in acting? Kuya Icko: Nung bata pa ko, my brother Don would always make me act. Gagawa siya ng script tapos ipapa-arte niya sa akin kahit sinong audience, kami-kami, parents, pinsan, lahat. It probably was inspired by our parents’ love for the arts. They’d make us watch hollywood movies, read books, etc. We were very creative and punong-puno ang aming imagination na magkakapatid. Kaya nahilig ako sa Acting. When we attended Word for the World, people also encouraged me to pursue acting. In school, ICA through my teacher Ms. G and Ms. O also pushed me and challenged me to try different roles. 3) Kuya Marlon: How do you develop your skills in acting? Kuya Icko: Trumpets Playshop is a big part of my training. Joining workshops is one way of enhancing a person’s skills. Audie Gemora, Roselyn Perez, Enchang Kaimo, Jaime del Mundo, and Freddie Santos are my biggest infuences when it comes to acting. I learned so much from them. Observe other people, watch people, store in your memory bank everything your SENSES absorb. Baon mo yun pag kailangan mong paghugutan. 4) Kuya Marlon: What's your life Bible verse? 5) Kuya Marlon: What's your most memorable moment at Sineskwela? Kuya Icko: Ang dami!!! =) Working with the cast, directors, and crew is one of the best things about sineskwela. We eventually all became friends. Working with our celebrity guests, theatre actors, was also a highlight. I learned so much from them. If I can site one example of a memorable experience it would be with Christine Bersola who played Anatom. I shared a joke with her before a take, and we couldn’t finish the joke, because she jut kept on laughing for a good 15-20 minutes! 6) Kuya Marlon: What advice you can give to those youth who would like to enter showbiz? 7) Kuya Marlon: If you'll be given a chance to produce a BIG MOVIE PROJECT about the Filipino Youth, what would be its theme and title? Tell us briefly about this movie. Kuya Icko: “BUKAS, NGAYON.” What we do today will greatly affect tomorrow. The young people are not just FUTURE leaders, they are leaders today. They can greatly influence their sphere of influence: one changed life at a time.